What a fun day this was! 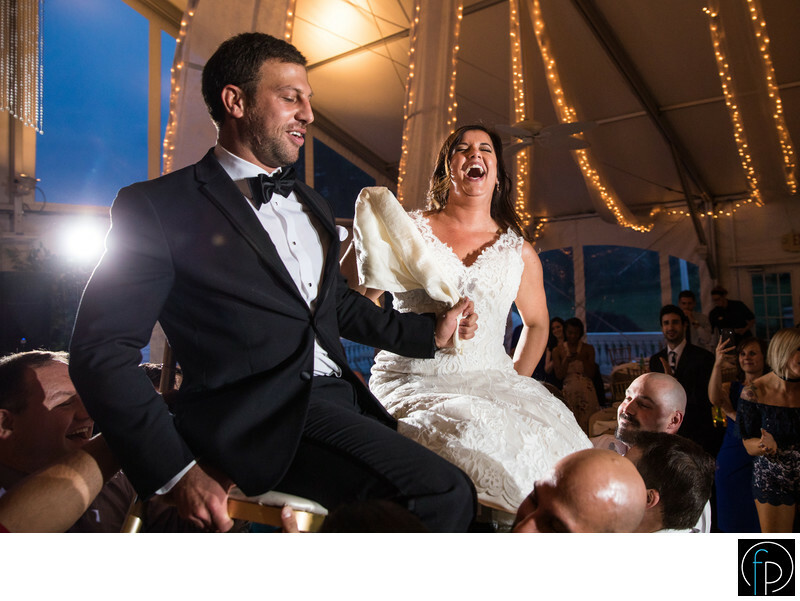 The bride and groom were hoisted up in chairs during the Hora at this beautiful Penn Oaks Golf Club wedding. Lights twinkle in the backdrop but you aren't distracted from the joy they're both having on their wedding day.